Part 3 of Greg Doudna‘s the interview with John Curington. GD: No one at the door asked for ID? GD: On the fifth floor, right? The jail? JC: Yeah. And Captain Will Fritz got on the elevator, and he had Lee Harvey Oswald with him. And Captain Fritz, of course we knew each other, and he just looked over and said, “Meet the S.O.B. that shot the president.” Oswald didn’t make a comment, I didn’t make a comment. But anyway that was the gist of the conversation. But after that I did get the man out of jail. Then I went down to get out of jail. And then by this time it was about 1:30, 2 o’clock in the morning. I had to go to Mr. Hunt’s house. And as I recall, he was still up. Anyway I rang his doorbell and he came to the door almost immediately. He had his clothes on which suggested to me he was still up. And I gave him a report, that there was no security that I could see whatsoever around Lee Harvey Oswald, around the jail. And he said, if you would, I want you to go out and have “The Man”—he called Joe Civello “The Man”—and have him come over to Mount Vernon. That was the name of his home. And I did that and I went home. GD: You called Civello in the middle of the night? GD: Just called him in the middle of the night? JC: It was about 2 o’clock in the morning. GD: He’s not angry at being called in the middle of the night? JC: No. 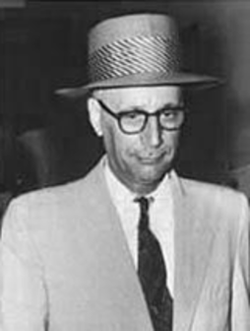 Civello, although he had a pretty bad reputation in the Mafia circles, look, all in all he was a pretty nice kind of a fellow. As far as I know I never saw him take a drink of whiskey, I never heard him use a word of profanity, he tipped his hat to the ladies. Outside of shooting one or two people he had a pretty fair background. GD: You were not at that meeting? JC: I was not at that meeting. GD: So that was Mr. Hunt’s reaction to the security situation? GD: And he couldn’t wait until the next day to set up the meeting? JC: No. He asked for that meeting right then. GD: So that was an accidental meeting? JC: Accidental, just a random accidental meeting. I couldn’t have timed it, and he couldn’t have timed it. Nobody—we just happened to get on the same elevator at the same time. 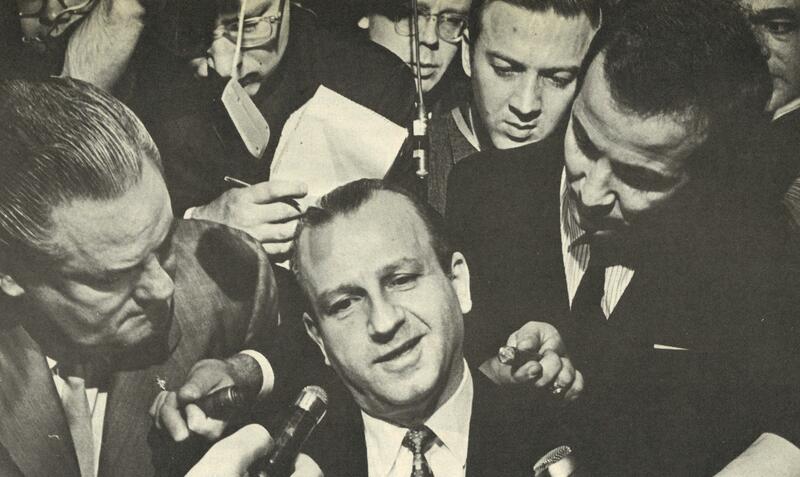 GD: Did Civello know Jack Ruby? JC: Yeah, they would have had a—I don’t know that they would have had a close working relationship, but Jack Ruby would have certainly known Civello and Civello did know Jack Ruby.